The BLUEPRINT consortium consists of 41 partners representing 43 academic groups and 9 companies. The Principal Investigators leading the different teams are listed below. Information about the partner organisations and the local researchers involved can be found via the links of the Principal Investigators. 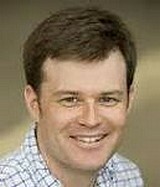 David Adams (PhD) is a group leader at the Wellcome Trust Sanger Institute. His research interests are the identification of cancer genes using experimental organisms, particularly mouse. He is head of the mouse genomes project. 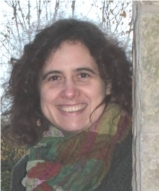 Lucia Altucci (MD, PhD) is Associate Professor at the Department of Biochemistry, Biophysics and General Pathology. Her line of research is pre-clinically oriented and is based both on anticancer epigenetic drug development and on the characterization of the mechanisms of tumorigenesis and leukemogenesis. For BLUEPRINT, Lucia is leader of WP14. 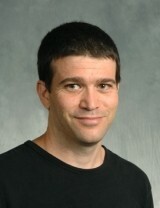 Ido Amit is leader of a research team at the Weizmann Institute of Science, Israel. His team studies the genomic code enabling immune cells to differentiate to specific subtypes and devise a specific response to invading pathogens. 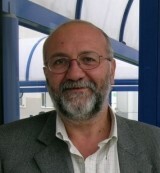 Stylianos Antonarakis is Professor and Chairman of Genetic Medicine. His accomplishments include the molecular bases of monogenic and complex genetic disorders. Current projects are functional genome analysis, genotype/phenotype variation, T21 pathogenesis and polygenic phenotypes. 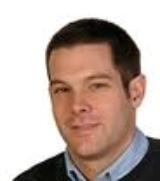 Stephan Beck (PhD, FMedSci) is Professor of Medical Genomics at the UCL Cancer Institute. He played a leading role in the sequencing of the human, mouse and zebrafish genomes and his lab has pioneered array- and sequencing-based DNA methylation reference maps and was among the first to conduct epigenome-wide disease association studies. For BLUEPRINT, he is leader of RA2. 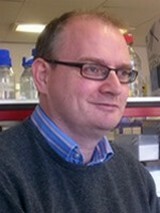 Adrian Bird is Buchanan Professor of Genetics at Edinburgh University. He has worked on DNA methylation for 35 years. His laboratory has performed genome-wide ChIP-seq and MAP-seq analysis of mouse and human tissues in collaboration with the Wellcome Trust Sanger Institute. 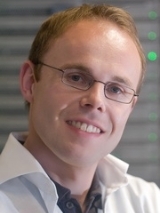 Christoph Bock is Principal Investigator at the CeMM Research Center for Molecular Medicine. 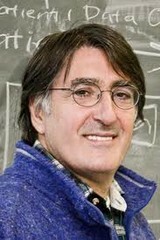 He is also still associated with the Max Planck Institute for Bioinformatics. His research interests are mapping epigenetic regulation in blood and immune cells, developing methods for analyzing DNA methylation data and utilizing biomarkers for personalized cancer therapy. For BLUEPRINT he is leader of WP9. 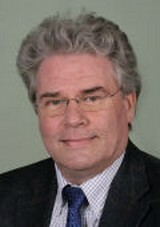 Bernhard Boehm (MD) is Head of the Division of Endocrinology and Diabetes. He is an internationally renowned expert in clinical and experimental diabetes immunology. He studies the role of genetic factors in disease manifestation, in animal models as well as in humans on the basis of population-based approaches. 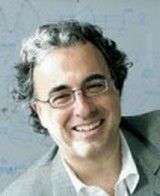 Elías Campo (MD, PhD) is Clinical Director of the Center for Biomedical Diagnosis at HCPB and Scientific Director of the Chronic Lymphocytic Leukaemia Project within the International Cancer Genome Consortium (ICGC), one of the Editors of the current WHO Classification of the hematological neoplasms. His research is focused on malignant lymphomas. 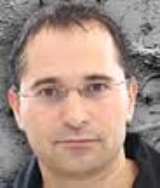 Emmanouil Dermitzakis is Professor of Genetics in the Department of Genetic Medicine and Development. His current research focuses on the genetic basis of regulatory variation and gene expression variation, non-coding DNA evolution, and the population genetics of human pathogens such as Plasmodium falciparum. 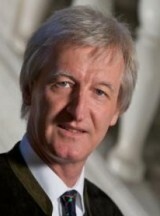 Gerard Drewes is leader of Work Package 15 and Research Area 4. 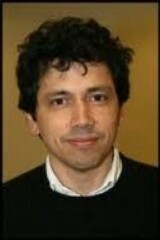 Tariq Enver (PhD) is Professor of Stem Cell Biology UCL. He is internationally recognised for his work on normal and leukaemic haematopoiesis. 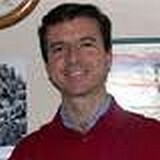 Manel Esteller (MD, PhD) is a world renowned leader in the field of epigenetics and epigenomics. He has developed multiple approaches to detect changes in the epigenome of healthy individuals and different diseases, both in humans and animal models. Xavier Estivill is coordinator of the Genes and Disease program and Senior Group Leader of Genetic Causes of Disease laboratory. His group is studying the contribution of non-coding RNAs and structural variations (including copy number variants, CNV) in the susceptibility to complex disorders. 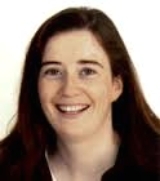 Anne Ferguson-Smith (PhD) studied mammalian functional genomics throughout her scientific career and is an internationally renowned expert in developmental epigenetics and parental-origin effects. For BLUEPRINT, she is leader of RA5 and WP11. Jude Fitzgibbon (PhD) is a Reader in Molecular Hematology and group leader in the Centre for Hemato-Oncology at Barts and the London School of Medicine. He is a recognized expert in the study of (epi)genetics and biomarkers in follicular lymphoma. His group pursues a patient-orientated research strategy to improve the prognosis of hematological malignancy. Paul Flicek leads the Vertebrate Genomics Team at European Bioinformatics Institute (EMBL’s Hinxton Outstation). 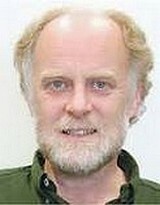 His responsibilities include leadership of the Ensembl project and EBI’s human variation group. He is currently co-chair of the data flow group of the 1000 Genomes project. For BLUEPRINT, he is leader of WP6. 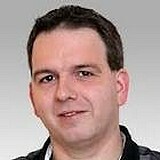 Thomas Graf is the coordinator of the CRG’s Differentiation and Cancer program. His group is interested in hematopoietic differentiation and stem cell biology, and has developed an efficient B cell to macrophage transdifferentiation system that is unique in its efficiency and ideally suited for epigenetic studies and screens for molecules that interfere or activate the process. 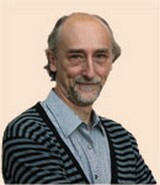 Frank Grosveld is Head of the Department of Cell Biology and the Biomics Center (Genomics, Proteomic, Bio-informatics). He is molecular biologist specialised in the regulation of gene transcription and epigenetics in the haematopoietic system. 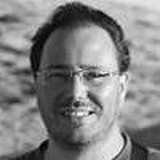 Roderic Guigó is Coordinator of the Bioinformatics and Genomics Program at CRG. His research focuses on computational methods for the analysis and the characterization of the RNA content of the cell. 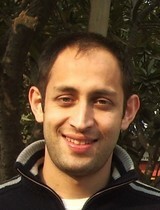 His group has developed software for computational gene prediction and for the analysis of RNAseq experiments. 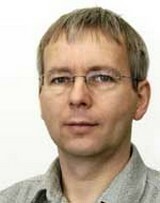 Ivo Gut (PhD) is Director of the CNAG and Coordinator of the EU FP7-funded Integrated Project READNA. Fields of expertise include human common and rare disease medical genetics studies and technology development in Genomics and Epigenomics. For BLUEPRINT he is leader of WP2. 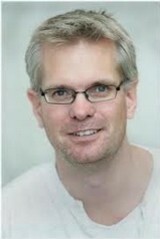 Ralf Küppers (PhD) is professor and Head of the group 'Molecular Genetics' at the Institute of Cell Biology. He is an internationally renowned expert in the study of lymphoma pathogenesis and the immune-biology of mature human B cells. He established methods to perform gene expression profiling from low numbers of micro-dissected or flow-sorted cells. Hans Lehrach is director at the MPIMG and the Head of the Department of Vertebrate Genomics. 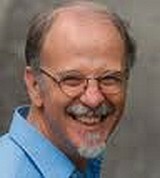 He is an internationally renowned expert in the field of –omic technologies as well as systems biology techniques. 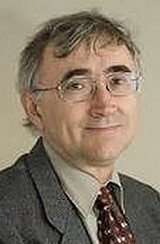 Thomas Lengauer is head of the Department of Computational Biology which has been active in computational epigenetics since 2001. His main focus is on the DAC contribution. 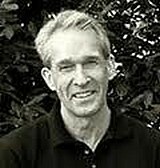 Åke Lernmark is the Head of the Diabetes & Celiac Disease Unit. He is an internationally renowned expert in the study of the etiology and pathogenesis of type 1 diabetes and celiac disease. 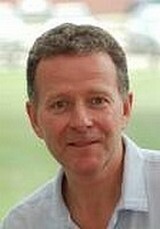 David Leslie is Professor of Diabetes and Autoimmunity in the Centre of Diabetes. He is interested in epigenome-wide association study (EWAS) for Type 1 Diabetes Mellitus (T1DM) and the identification and validation of disease-associated MVPs in T1DM. For BLUEPRINT he is leader of WP8. 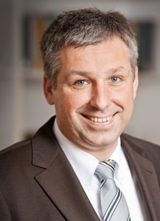 Markus Loeffler is full professor and head of the Department of Medical Informatics, Statistics and Epidemiology. 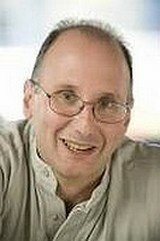 He has a longstanding record in the Bioinformatics and Computational Biology and contributed significantly to Cancer Research. Elizabeth Macintyre (MD, PhD) is the Head of the Biological Hematology Department and of the “normal and pathological lymphoid differentiation” research team from CNRS UMR8147. She is an internationally renowned expert in the study of the cellular and molecular characterization of T-Cell acute lymphoblastic leukaemia/lymphoma. 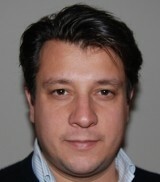 Antonello Mai (PhD) is full professor at the Drug Chemistry and Technologies Department. Fields of expertise include Organic Chemistry, Medicinal Chemistry, Organic Synthesis and Drug Design. From 1999, he is involved in design and synthesis of small molecule modulators of epigenetic targets. 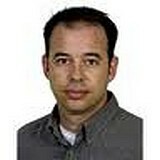 Joost Martens (PhD) is assistant professor at the Dept. of Molecular Biology. Joost has pioneered ChIP-seq, RNA-seq, MethylCap-seq in the analysis of molecular mechanisms of transformation/differentiation by oncofusion proteins in AML. For BLUEPRINT, he is leader of WP5. Dr Saverio Minucci (MD) is a Division Director at the European Institute of Oncology, and Associate Professor of Pathology at the University of Milan. His current of research activity is the deregulation of chromatin structure/function in cancer. 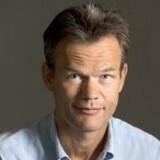 Willem H Ouwehand (MD, PhD) is Principal Investigator of a research team with 30 scientists. He is an internationally renowned expert in megakaryocyte/platelet biology and genomics. Fields of expertise include Cell Biology, Platelet Biochemistry and (Epi)Genomics. He is leader of WP3 for BLUEPRINT. Prof Pier Giuseppe Pelicci (MD, PhD) is Co-Scientific Director of the European Institute of Oncology (IEO) and Chairman of the Department of Experimental Oncology at IEO. 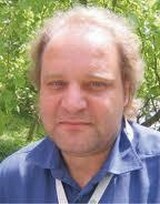 He is Full Professor of Pathology at the University of Milan. He is internationally renowned for his significant contribution to the understanding of the molecular mechanisms of cell growth and differentiation underlying the development of cancer. Vardhman Rakyan is a Professor of Epigenetics. He has over 13 years experience in the fields of epigenetics and genomics with a strong focus on inter-individual phenotypic variation in mammals and technology development in epigenomics. Wolf Reik (MD) is the Head of the Epigenetics & Chromatin Programme. He is an international leader in epigenetic mechanisms of mammalian development and is using sequencing approaches to understand reprogramming. 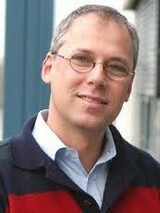 For BLUEPRINT he is leader of WP12. 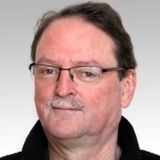 Dirk Schübeler (PhD) is a senior groupleader at the FMI and internationally recognized for his work on gene regulation in particular related to functional epigenomics. For BLUEPRINT he is leader of RA3. 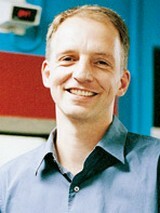 Martin Seifert (PhD) is a biologist and Managing Director of Genomatix. His expertise is in chromatin IP, transcriptome analysis and nuclear receptors. His research focus within Genomatix is the development of efficient data analysis instruments for microarray and next generation sequencing data. 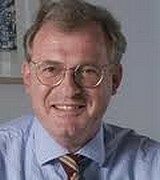 Reiner Siebert (MD, PhD) is a Human Geneticist, chair and full Professor of Human Genetics and Director of the Institute of Human Genetics. Moreover, he is Deputy Scientific Director of the Comprehensive Cancer Center in Kiel and Coordinator of the International Cancer Genome Consortium (ICGC) on Malignant Lymphoma. For BLUEPRINT he is leader of WP4. Nicole Soranzo (PhD) is a group leader at WTSI and a Professor of Human Genetics at the University of Cambridge. Her team works to expand discovery of novel genetic loci for intermediate cardio-metabolic endpoints through associations of common and rare DNA variation with bio-chemical and physiologic intermediate phenotypes. 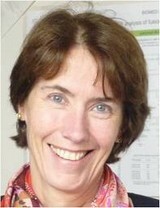 Her group has developed world-leading expertise in the meta-analysis of Genome-Wide studies. For BLUEPRINT she is leader of WP10. 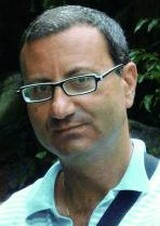 Salvatore Spicuglia (PhD) is staff scientist. He is an expert in the field of epigenetic regulation during cell differentiation. He has pioneered MeDIP, ChIP-seq, FAIRE-seq, MNase-seq in order to study epigenetic dynamics during normal T cell differentiation and oncogenesis. 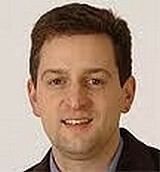 Michael Stratton (MD, PhD) is Director of the Wellcome Trust Sanger Institute. He was leader of the group that mapped and identified the high risk breast cancer susceptibility gene, BRCA2. His research interests are in the genetics of cancer. 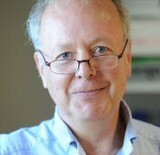 Henk Stunnenberg (PhD) is the Head of the Department of Molecular Biology. He is an internationally renowned expert in the study of mechanism of gene expression (transcription machinery, chromatin). Fields of expertise include Molecular Biology, Biochemistry, Genomics and Epigenomics. He is overal coordinator of BLUEPRINT, leader of RA1a and WPs 17-19. Amos Tanay is a senior scientist and principal investigator at the Department of Computer Science and Applied mathematics. is a recognized expert on algorithmic development and modeling of biological systems and genomic phenomenon. 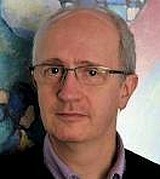 David Torrents (PhD) is ICREA Research Professor and group leader at the Barcelona Supercomputing Center. He actively participated and co-coordinated sections of the primary analysis of several eukaryotic genomes as part of the international sequencing consortia providing primary digestion and annotation of functional elements in sequenced genomes. Alfonso Valencia is a biologist with training in population genetics and biophysics. 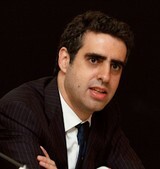 He is Director of the Spanish National Bioinformatics Institute (INB), a platform of the Spanish Health Institute. Director of the Structural Biology and Biocomputing Programme of the CNIO. For BLUEPRINT he is leader of RA1b and WP7. 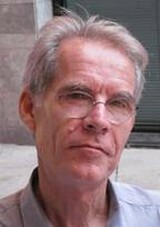 Edo Vellenga is full professor at the department of Hematology. He is the principal investigator of the HOVON APL study in cooperation with the Spanish Pethema group. His research focuses on preclinical studies in AML and oncogene activation in normal hematopoietic cells. 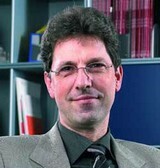 Martin Vingron is a Director at the Max-Planck-Institut für molekulare Genetik where he heads the Computational Molecular Biology Department. His major fields of interest are functional genomics, gene regulation and epigenetics. 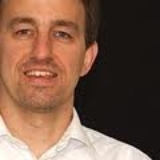 Jörn Walter (PhD) is professor and head of the Department of Epigenetics/Genetics. He has a strong record on DNA-methylation biology and mapping, marker development and epigenomic data interpretation. For BLUEPRINT he is leader of WP16 (training, communication & networking). Stephanie is actively involved in communication activities, especially for the IHEC communication working group. 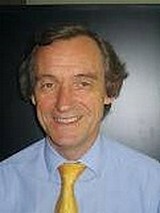 Didier Allaer is the founder and current CEO of Diagenode. He has extensive experience in the diagnostic field and he is a specialist in instruments and engineering. Didier has a broad network including scientific and industrial actors in many countries.